I have a shapefile that I am trying to convert to raster. The shapefile has overlapping polygons. I would like to keep the minumum value of these overlapping polygons when converting to raster. Right now, when I use the Feature to Raster dataset within the 'To Raster' toolbox, it keeps the maximum of the overlapping polygons. Can I change this so it keeps the minimum? Or will I have to clean up my shapefile to get rid of the overlapping areas. Convert each polygon to raster. I would iterate through the features in a model to achieve this. Combine the rasters using cell statistics > minimum. Be sure to use union of inputs as the processing extent. You have a raster of the lowest values for each pixel as output. Not the answer you're looking for? Browse other questions tagged arcgis-desktop raster arcmap shapefile vector or ask your own question. Distributing values evenly within zones when converting polygon to raster? Transforming raster to vector in ArcGIS for Desktop? 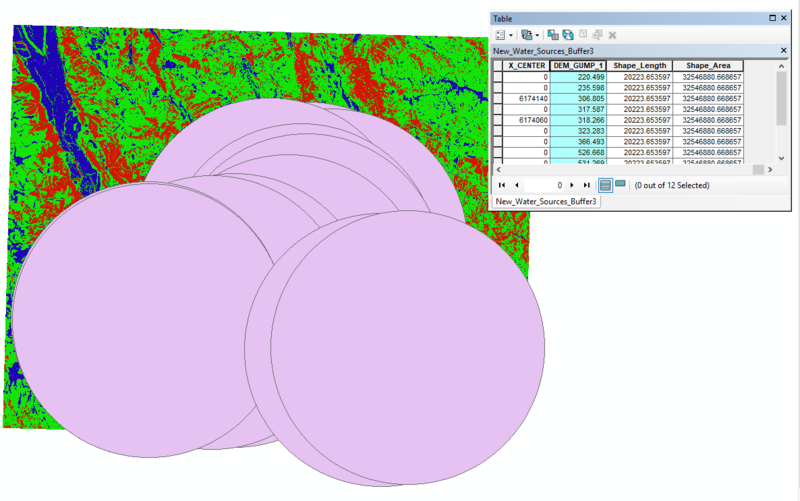 Creating surface area regions of minimum size from raster file using ArcGIS for Desktop? Polygon to raster. How to keep same values? How do I convert a fire frequency point shapefile into a fire frequency raster? Converting a raster to shapefile for only one value?